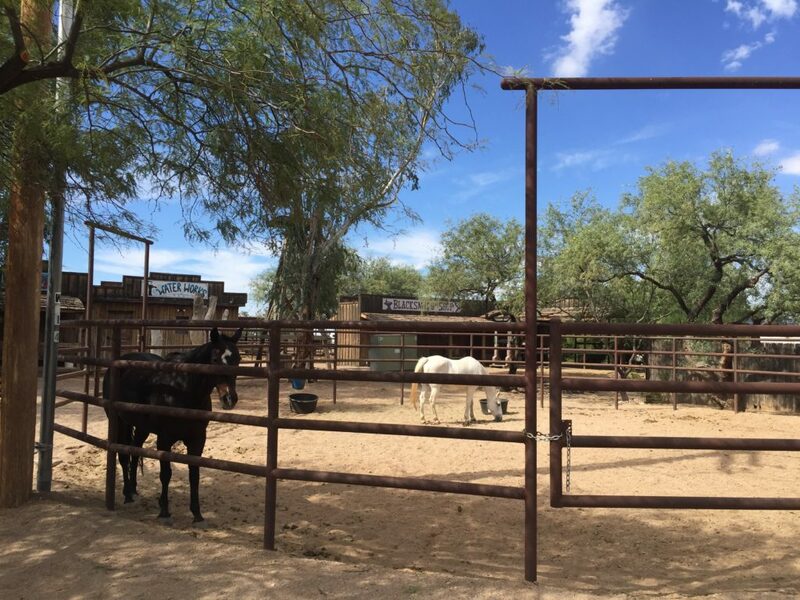 The White Stallion Ranch is a traditional dude ranch nestled next to the Saguaro National Park in Tucson, Arizona. Even though the ranch is easy to get to from the I-10, once you turn onto the dirt road that leads to the entrance, you feel as if you are in a whole other world. 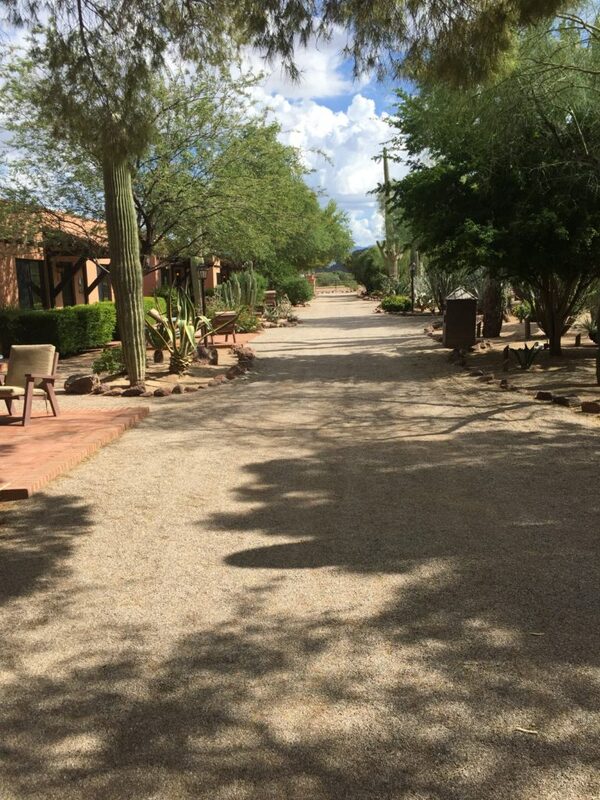 Free from the hustle and bustle from daily life, White Stallion Ranch offers visitors an oasis with Western charm combined with classic amenities. 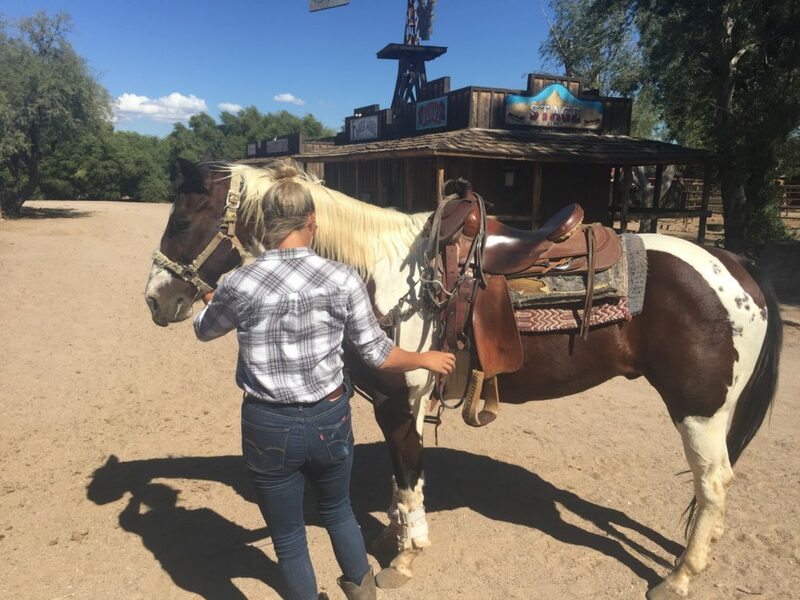 The ranch is geared to please experienced riders and “city slickers” alike. 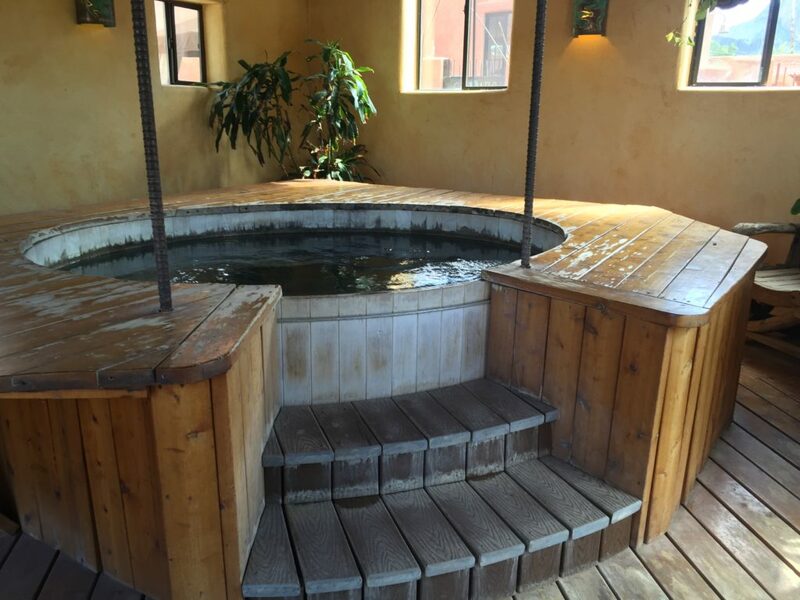 White Stallion Ranch has 43 guest rooms in total, as well as the Hacienda, a 5 bedroom guest house. The guest rooms range from standard single rooms to a deluxe suite which includes a jacuzzi tub and fireplace. 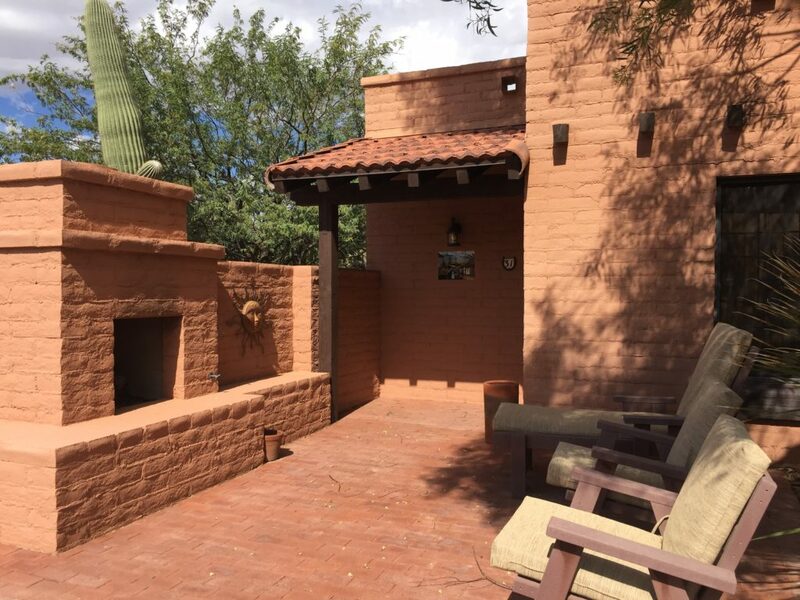 Some rooms has a small patio with lounge chairs and a working outdoor fireplace, a perfect reason to relax under the stars and take in the desert night air. The room decor is cowboy western, offering a warm environment to relax at the end of a long day of riding. There are no TV’s in the rooms, promoting time with family or just relaxing and enjoying the other amenities on the ranch. The ranch offers a “Full American Plan” rate or a Bed and Breakfast rate (offered only at certain times). The Full American rate includes: the room, three meals a day, access to all ranch facilities, any and all daytime and nighttime activities, and all horseback riding (expect for lessons). The Bed and Breakfast rate includes the room and breakfast as well as access to the ranch amenities and activities (no horseback riding). 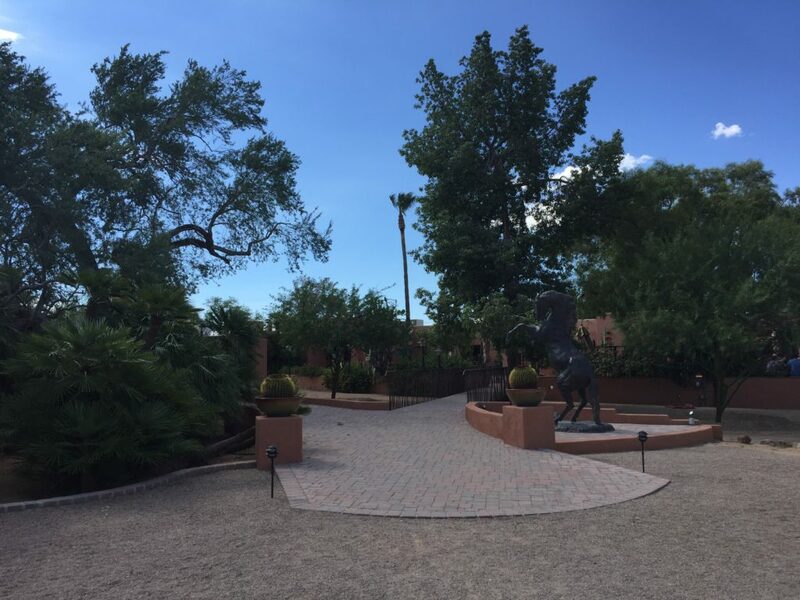 The White Stallion Ranch offers a wide variety of facilities/amenities that will appeal to everyone in the family: game room, movie theater, petting zoo, heated pool, hot tub, fitness center, tennis court, basketball court, playground, horseshoe pit, and gift shop. Guests can also book massages and other spa treatments on site. WSR employs skilled massage therapists that provide a wide variety of services from facials, body wraps, and massages. Our favorite was the “End of the Trail” massage that hit all the areas of the body you don’t recognize exist until after a day in the saddle. White Stallion Ranch also has no shortage of activities for all guests. The newest addition is rock climbing, an extensive climbing experience on private land with over 30 climb options ranging from beginner to expert. For first time riders, they do have horseback riding lessons available that can be booked with the front desk. There is nightly entertainment at the ranch for all guests, and the different activities are advertised near the front desk. They have different talent come through, from magicians, astronomy lessons, line dancing, watercolor lessons, nature programs, and even true country western singers to serenade you during dinner. All activities are geared towards encouraging a sense of community with other guests and with your own family, helping you unplug and unwind. 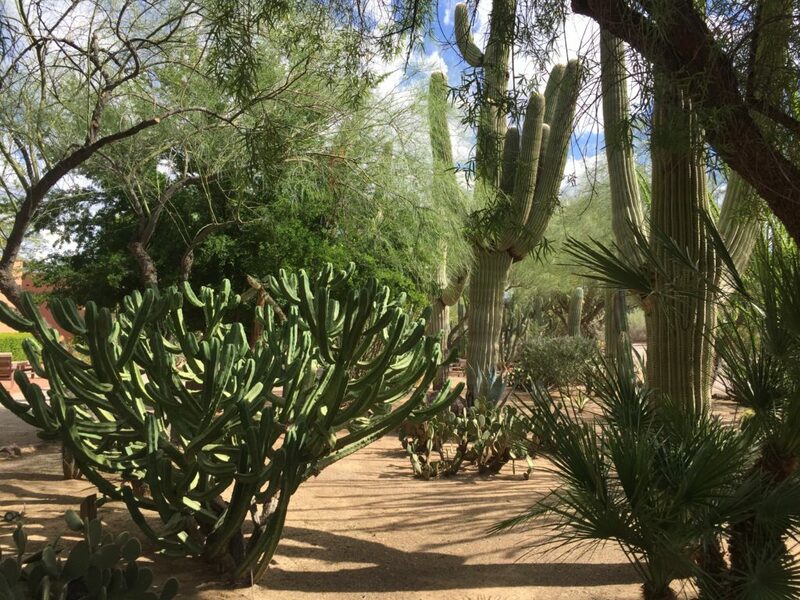 Taking a walk around the property allows guests to learn about the surrounding nature as White Stallion has labeled the different local plants and cacti. There are a number of hiking opportunities around the ranch that guests can do. Or, if you want to practice your cowboy/cowgirl skills, there is an area set up for guests to practice their roping. Of course being a ranch, horseback riding is a main attraction for those that come stay at White Stallion Ranch. They offer different rides 6 days a week, with Sunday being a day off for the horses. There are rides for guests of all levels of experience, from beginners to expert riders. The ranch does a great job of trying to match horses to riders for comfort levels, and coaching newer riders through. 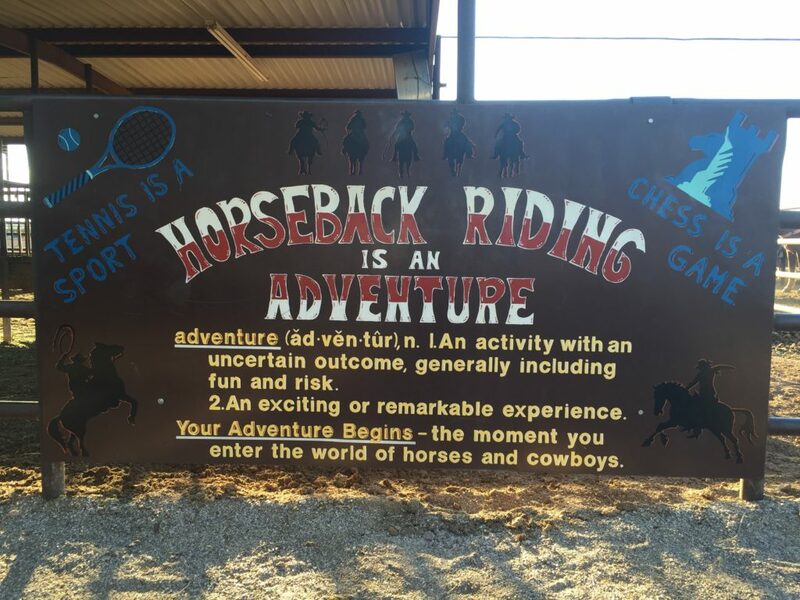 Guests can sign up for breakfast rides, slow rides, mountain rides, fast rides (with some trotting and loping), all day rides, hayrides, “beer and cheetos rides”, “wine and cheese rides”, and team penning. 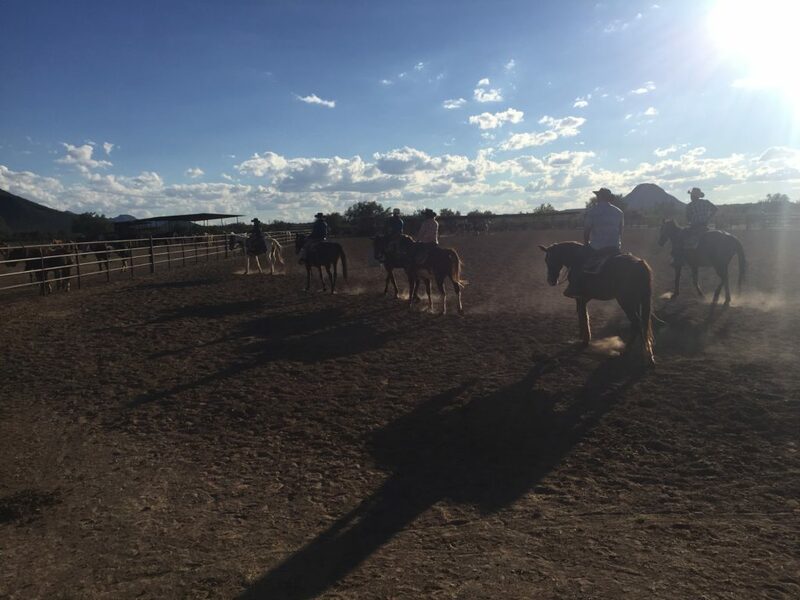 Trying the team penning is highly recommended because even a beginner will feel like a true cowboy with the direction and encouragement from the staff. White Stallion Ranch also puts on a weekly rodeo for guests to watch some true cowboy action and skill. The horses are well kept and loved, and guests are allowed to spoil the horses with the provided horse treats. 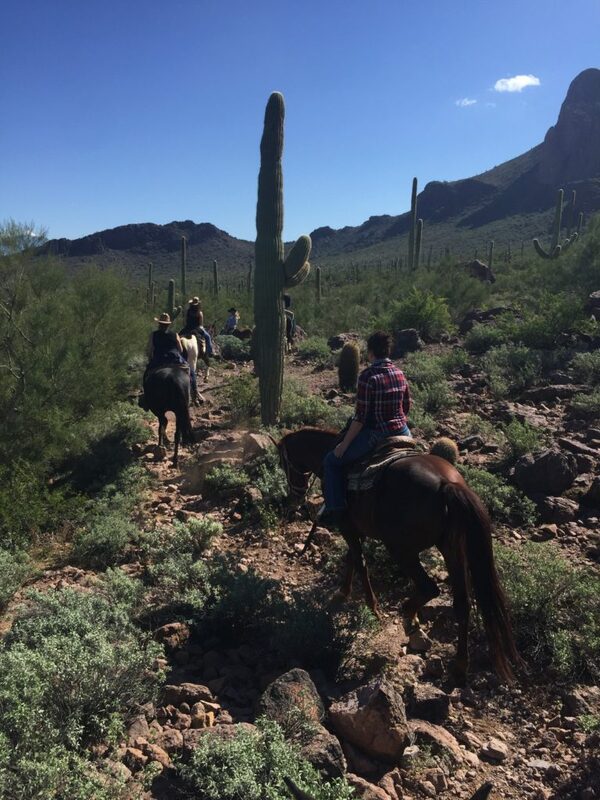 The rides offer breath-taking views of the desert, and since the Saguaro National Park has a large number of trails, guests won’t repeat a ride on a single trail in a week. The breakfast ride is the best start to the day, taking a slow ride out into the desert where WSR has a hot breakfast set up and waiting. Guests can then head back to the ranch, or continue on for a fast ride. Bring a camera because any of the rides will provide scenery that is unique and sure to impress family and friends. Kids are allowed to do slow rides starting at the age of 5, and for fast rides children 8 and up who can pass a quick test. Other unique traits of White Stallion is their “honor bar.” In the Lodge is a bar and pool table where they serve complimentary hors d’oeuvres for all guests the hour prior to the dinner bell ringing. The honor bar allows guests to choose their alcoholic and non-alcoholic beverages and fill out a “chit” which the front desk tallies and then puts on the guest’s bill at check out. Breakfast, lunch, and dinner can be enjoyed inside or outside, and the menu has something for every palate. Breakfast has two options, one made to order hot, or continental breakfast. Coffee, tea, and lemonade are always available for guests free of charge. You are called to dinner with a traditional dinner bell and it is served buffet style. The White Stallion Ranch staff has to be mentioned as every single staff member met during the stay is friendly and welcoming, truly looking for ways to make the experience and stay a memorable and enjoyable one. White Stallion is well known for its hospitality, bringing in guests from all over the world. Having such a well run ranch is no easy feat, but the True family, which owns the ranch, have found a way to provide an enjoyable place to not only stay, but also to work at. The True family has owned and operated since 1965, and have grown the ranch from only 160 acres and 17 guest rooms to 3,000 acres and 43 guest rooms and a five bedroom house. Guests will regularly see the True family leading rides and greeting/mingling with guests, making it feel very homey. White Stallion was voted number one in the 10 Best Family Resorts in the US by readers of USA Today, and that is a badge of honor for a dude ranch. No matter how many people in your party, or how short or long your stay, White Stallion Ranch will treat you as if you are the most important guest and do everything they can to make sure you leave with a smile on your face, memories for a lifetime, and a desire to return again soon.